Helping kids grow through a flexible and fun character education program. Love In A Big World creates meaningful interactions with caring adults—helping kids develop positive behavior traits that will empower them in everyday life. 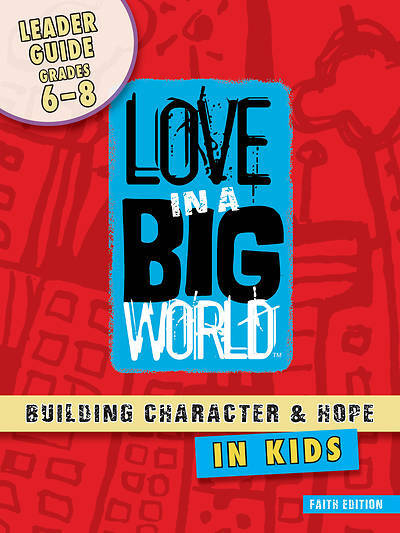 Through relevant and diverse stories, Scripture, and life lessons, kids learn to love God, love people, and change the world. A perfect addition to your already-in-place K-8 student programming, like Sunday school, VBS, after school, community outreach, and even camps! Help your kids learn how to identify and manage their emotions, especially anger. Lessons on Choice, Courage, Forgiveness, Responsibility and Self-Control.